BSC will provide the next opposition in our quest to move up the league. Hopefully we can take confidence from our recent winning streak to give them a game of it. There is no hiding the fact that they are an excellent team, which is confirmed by them being second top of the league. Earlier in the season they beat us 4-0 at Victoria Park and really finished the game by scoring two goals in the first three minutes. They have a wealth of experience throughout their team with a potent strike force. A pitch inspection was carried out at 9.30am, where the pitch was deemed as playable. At time of kick off the pitch can only be described as very heavy with a strong wind beginning to surface. The University won the toss and decided to play the first half with the wind. It was obvious from the kick off that the wind was going to be a major factor in the outcome of the game. The first half was totally dominated by the University and it was no surprise when they took the lead in the 19 min when initially after some slack play in the midfield resulted in Geddes firing home in the penalty area. Although the University were in the ascendancy the Vale nearly equalised just before half time when Dawson should have scored from six yards. 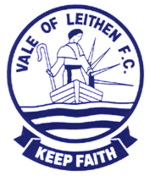 The second half commenced with Vale pressing forward with the wind at their backs as were rewarded in the 54 min when a free kick in front of the University goal was played to Allan who drilled home the equaliser. Vale were beginning to take control and were rewarded in the 57 min when Dawson hammered home a fine goal from within the penalty area. Vale continued to dominated and scored a third in the 69 min when Dawson headed home a Stewart cross. Vale then made a few changes to consolidate their lead and were very comfortable until in the first minute of injury time when Peden of the University struck a great volley pass Gilpin. The last few minutes of the injury time were spent around the Vale box and only a good save from Gilpin with the last kick of the match ensured a Vale victory. The Vale Man of the Match was given to Cameron Dawson. This game was moved to Ainslie Park due to snow making Victoria Park unplayable. A healthy crowd was in attendance as play commenced. Vale started with the same team that had hammered Gala Fairydean Rovers on the previously Saturday. Vale started the game on the front foot with a series of corners which were cleared by the Tynecastle defence. As the game progressed Tynecastle were beginning to find their feet and although the first half was fairly even with regard to possession, Vale were creating the chances without taking any of them. The second half commenced with Tynecastle pressing forward trying to take control. However, the Vale defence was resolute and although Tynecastle were having some good possession, as in the first half all the decent chances were falling to the Vale. Both teams were playing good football, but gradually the Vale were gaining control and were rewarded in the 70 min when after some neat passing around the Tynecastle box Andy Martin slotted the ball home for a deserved lead. Two minutes later after some good work by Sean Stewart who drew the goalkeeper before slipping the ball to substitute and ex Tynecastle man Tommy Patterson who played it into an empty goal. 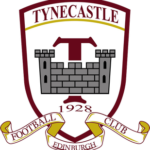 The remainder of the game was played out with Tynecastle chasing a goal and Vale breaking upfield on numerous occasions without adding to their total. Bobby Craigie presented the Man of the Match award on behalf the match sponsor, Thomas Ward Motorsport to Ainslie Hunter. The replay of the game abandoned in December with the match tied at 1-1. Due to the condition of Victoria Park and the weather forecast it has been decided to move the tie to Spartans Ainslie Park, Edinburgh with a 3.00pm kick off. The winner of this game is away to Lothian Thistle in the semi-final.